Two bottlenose dolphins (Tursiops truncatus) cooperate in a button-pressing task requiring precise behavioural synchronization. But are these cooperating animals actively coordinating their behaviour, or are they simply acting individually to accomplish the same task at the same time? In a study, published today in Proceedings of the Royal Society B, we showed that bottlenose dolphins actively coordinate their behaviours. That is, they can learn to work together and synchronise their actions to solve a cooperation task and receive a reward. For this study, conducted at the Dolphin Research Center in the Florida Keys, we created a task in which pairs of dolphins had to swim across a lagoon and each press their own underwater button at the same time (within a 1-second time window). Each trial began with both dolphins and their respective trainers located at the opposite side of the lagoon from the buttons, about 11 metres away. The trainers would either both give a “press the button” hand signal at the same time, or one trainer would give the signal first, while the second trainer asked her dolphin to wait up to 20 seconds before giving the signal. If the dolphins pressed their buttons at the same time, a computer played a “success” sound, and the dolphins returned to their trainers for fish and social praise. If the dolphins pressed their buttons at different times, a “failure” sound was played and the trainers moved on to the next trial. The strict timing requirement meant they had to work together. If their goal was simply “press my button”, then when they were sent at different times, they would press at different times. To succeed, they had to understand their goal as “press the buttons together”. The question, then, was whether the dolphin sent first would wait for the other dolphin before pressing its button, and whether they could figure out a way to coordinate precisely enough to press simultaneously. Two bottlenose dolphins (Tursiops truncatus) cooperate in a button-pressing task requiring precise behavioural synchronisation. We found that the dolphins were able to work together with extreme precision even when they had to wait for their partner. Interestingly, their behavioural strategies and the coordination between them changed as they learned the task. Keep in mind that the dolphins had to figure out that this was a cooperative task. There was nothing about the situation that told them in advance that the buttons had to be pressed at the same time. To help them learn, we started by sending them simultaneously and gradually increased the timing difference between them. When one dolphin figured out the game first, if their partner was sent first on a particular trial, they knew that the partner (who had not figured out the game) was not going to wait. So in the early phases, we found that many successes were achieved not by the first dolphin waiting, but by the second dolphin swimming extremely fast to catch up. But once both animals understood the task, this behaviour disappeared and the timing of their button presses became extremely precise (with the time difference between button presses averaging just 370 milliseconds). This shows that both partners now understood that they didn’t need to swim fast to succeed; instead, they needed to synchronise their actions. Wait for it… a delayed start but the dolphins still work together. In the wild, dolphins synchronise their behaviour in several contexts. 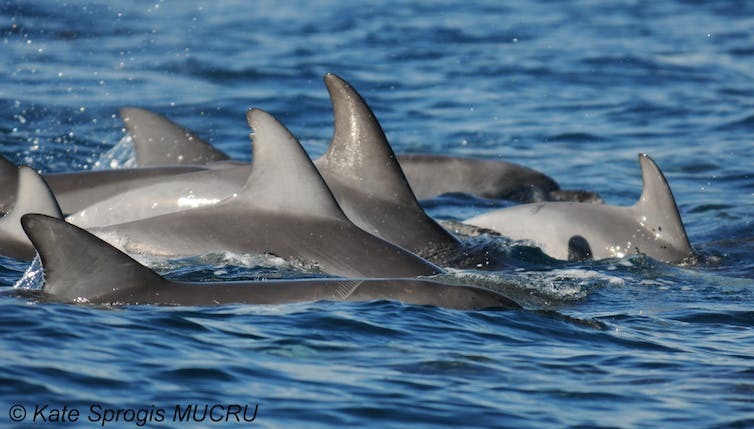 For example, mothers and calves will surface and breathe at the same time, and males in alliances will perform the same behaviours at the same time in coordinated displays. Triple synchronous dive by a trio of allied male bottlenose dolphins (Tursiops aduncus) in Shark Bay, Western Australia. The synchrony in these displays can be remarkably precise, and is thought to actively promote cooperation between partners. The results of our study suggest that this behavioural synchronisation that dolphins show in the wild may not be a hardwired response to a specific context, but may in fact be a generalised ability that they can apply to a variety of situations. Kelly Jaakkola, director of research at the Dolphin Research Center, contributed to this research and this article. She can be contacted at kelly@dolphins.org. Dolphins contribute important knowledge about ocean health. From the poles to the equator, marine mammals such as seals, dolphins and whales, play an important role in global ecosystems as apex predators, ecosystem engineers and even organic ocean fertilisers. The ocean off the coast of South Africa is home to a high diversity of these mammals and is recognised as a global marine biodiversity hotspot. Marine mammals are often referred to as “sentinels” of ocean health. Numerous studies have explored the effects of both noise and chemical pollution, habitat degradation, changes in climate and food webs on these marine apex predators. Yet the interplay of these factors isn’t well understood. Our research on the unfortunate dolphins incidentally caught in shark nets off South Africa’s KwaZulu-Natal coast has helped fill in some of the gaps. By assessing the health of these dolphins we have provided valuable baseline information on conditions affecting coastal dolphin populations in South Africa. This is the first systematic health assessment in incidentally caught dolphins in the Southern Hemisphere. But to gain a fuller picture of the health of marine mammals in these waters I am now combining this contemporary field research with historical data, like the collection at the Port Elizabeth Museum Bayworld. The combination of data on diet, reproduction, population structure and health helps us gain a better understanding of the pressures and changes these apex predator populations face. And it helps us understand it in relation to global change, including both climate change and pressures brought about by human behaviour. My research sheds light on multiple factors: pollutant levels, parasites, and availability of prey, all have an impact on individuals as well as populations. Understanding the health of these animals also gives us insight into the state of the world’s oceans. This is relevant because oceans affect the entire ecosystem including food security, climate and people’s health. This degree of connectedness is highlighted by recent discoveries about how whales act as ecosystem engineers. The accumulation of this knowledge is important because the planet’s oceans aren’t being protected. Recent popular documentaries such as “Sonic Sea” and “Plastic Ocean” have highlighted their exploitation and pollution. Without baseline knowledge it’s challenging to establish the potential effects that new anthropogenic developments (those caused by human behaviour) have on local whale and dolphin populations. For example, we know that whales are sensitive to shipping noise, so what potential impact could a new deep water port have on mothers and their calves? Could it drive them away from these nursery areas, or could it lead to an increased risk of whales and ships colliding? To answer this and monitor the change that a new port brings with it, we are investigating the soundscape of two bays in the Eastern Cape (one with a new port, one without) in parallel with baleen whale mother-calf behaviour. Another example is understanding how changes in the Sardine run over the past 15 years have affected the diets of these mammals. The Sardine run is an annual phenomenon when large shoals of Sardine migrate northwards along the coast into KwaZulu-Natal waters to spawn. Using long-term data and samples from the Port Elizabeth Museum research collection, we have been able to establish that over the the past 20 or so years the main predator in the Sardine run – the long-beaked common dolphin – has shifted its diet to mackerel. Although such changes in diet can have potential impacts on the health of the dolphins, parallel investigations on the trophic level these animals feed at (using isotope data from teeth) and the body condition of the dolphins (using long-term data on blubber thickness), indicated no adverse effects to the dolphins. Our analysis highlights how marine mammals may be used as indicators of environmental change and why research is important. Finding answers to intricate questions on environmental change is not always easy. But a better understanding and knowledge of the environment these animals live in has to be incorporated into studies contributing to their conservation and management. Such studies are becoming increasingly relevant as they highlight the fast degradation of the marine environment. For example, a recent study identified antibiotic resistant bacteria in both sea water samples and exhaled breath samples from killer whales. This suggests that the marine environment has been contaminated with human waste which in turn has significant medical implications for humans. Gaining such information is particularly important given the rapid changes taking place in the oceans, such as those on South Africa’s southern and eastern coastline. This includes increasing coastal development, new deep water ports being built or expanded, and parts of the deep sea being explored for oil and gas. To assess these changes and what they mean for the environment, baseline studies need to be carried out so that potential effects can be assessed. Whales and dolphins are increasingly being recognised as indicators of ocean health in this endeavour. 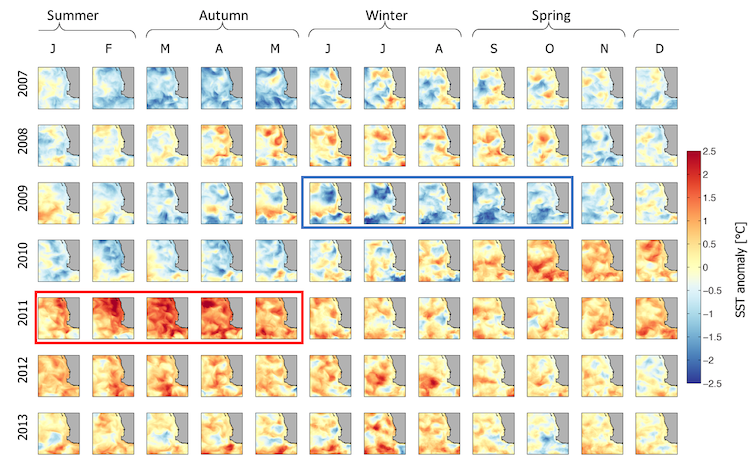 And a continuation of the research we did on dolphins caught in nets will help document the cyclic changes that can be seen as normal variation in a population. This could prove important for assessing future catastrophic events, such as the Deep Horizon oil spill. The oceans absorb over 25% of the world’s carbon pollution as well as heat generated by global warming. They also produce at least 50% of the planet’s oxygen, and are home to 80% of all life on earth. Yet only 5% of this vital component of our planet has been explored. Research on whales and dolphins contributes important knowledge about ocean health. 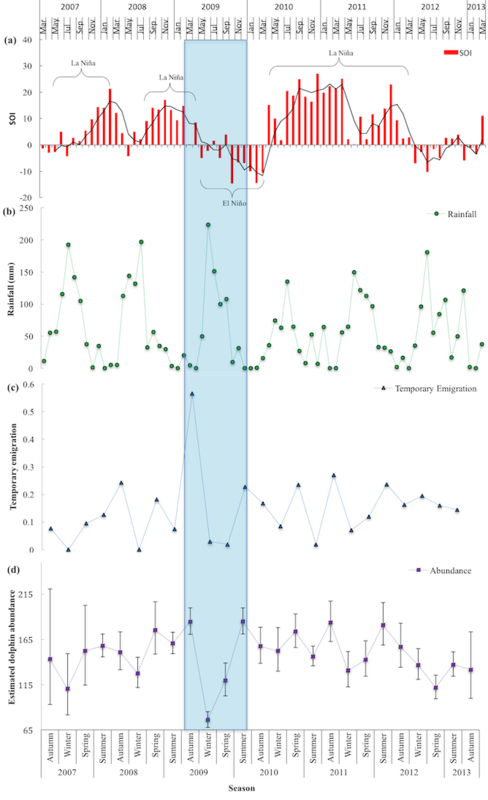 Historical data increasingly provides a guideline to teasing out natural variations in populations and assessing the contribution that multiple factors have on these animals. In time, this will ensure that policy makers are being given sound scientific information. It will also provide us with a good barometer of the overall health of our oceans. For wild predators, catching, killing and eating prey can sometimes be a risky business. We can see this on the African savannah, where a well-aimed kick from a zebra can spell trouble for a hungry lion. But the same can also be true in the ocean, where some prey types are far from helpless seafood. In particular, a large octopus can be a risky prey for predators to tackle. This is especially so for marine mammals, such as dolphins, which don’t have hands to help them keep control of this clingy, eight-armed prey. Our new research highlights the development of complex behaviours that allow dolphins to eat octopus, thereby improving their ability to survive and reproduce. It’s another example of a strategy that helps to drive the success of dolphins in coastal environments around Australia. In 2015 an adult male bottlenose dolphin was found dead on a beach in Bunbury, southwest Australia. Wild dolphins face many threats in today’s oceans, yet it was a gruesome surprise when we found octopus arms hanging out of the stranded dolphin’s mouth. An examination by a veterinary pathologist revealed that this otherwise healthy dolphin, known as “Gilligan” to the research team, had suffocated to death while trying to eat an octopus. As strange as it sounds, this is not the first recorded case of a dolphin choking to death on an octopus in southwest Australia. There have also been several observations from around the world of dolphins facing difficulties while tackling octopus. So what is it that makes octopus so hard to handle? Octopus can grow quite large, with some species bearing muscular arms reaching more than a metre long. Each of their eight arms have powerful suction cup-like suckers on the underside, which are normally used to help octopus capture their own prey while crawling along the seafloor. But when attacked by a dolphin, these suckered arms also help octopuses to defend themselves by latching onto the dolphin’s smooth skin. When this happens, dolphins have been observed leaping rapidly out of the water before crashing onto the surface in an attempt to dislodge an octopus. The real problem is that these arms stay active even after an octopus has been mortally wounded. So even while a dead octopus is being processed, the suckers may still be able to find something to stick onto. 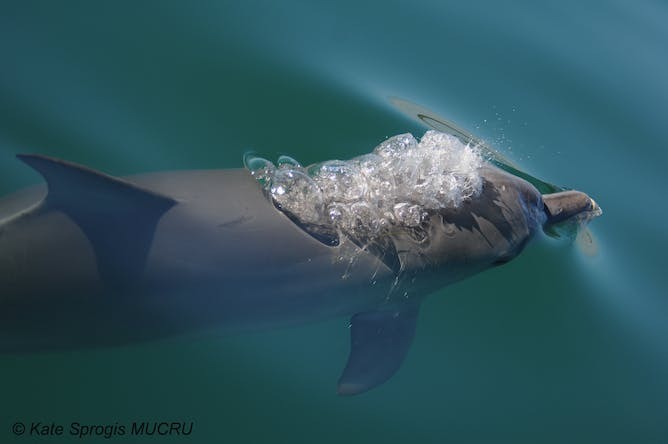 But we’ve observed some wild bottlenose dolphins that have found a way to handle and feed on octopus, with the findings published today in Marine Mammal Science. These observations were made between March 2007 and August 2013, while we were conducting boat surveys to study the dolphins living off Bunbury’s coast. Over this time, we observed 45 octopus handling events by dolphins. Most were performed by adults (male and female), although we also saw four juveniles and two calves performing this behaviour. 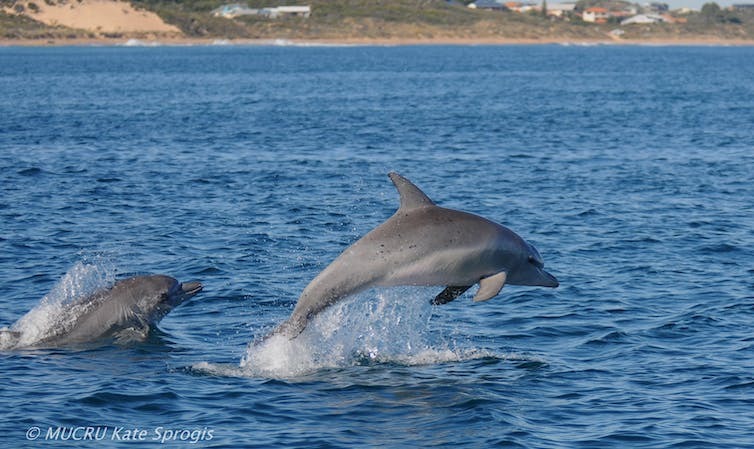 Bottlenose dolphin tossing octopus off Bunbury, Western Australia. By tossing the octopus across the water, dolphins avoid letting the octopus latch onto their bodies. This behaviour also likely assists in wearing out the octopus’s reflex responses that make the suckered arms so dangerous to swallow. Once the prey has been battered and tenderised enough that the arms are unresponsive, it is then safe for the dolphins to proceed with swallowing their catch. It’s quite a process the dolphins have developed to deal with the octopus. They have a short, fused neck which means they have to arch their whole body to toss their prey out of the water. Given the danger, why eat octopus at all? When we looked closely at when these observations were made, we found that the dolphins were targeting octopus more frequently over winter and spring. These cooler times of year are also the octopus’s breeding time. Octopus are semelparous, which means they slowly become weaker and then die in the weeks after they finish breeding. It is possible that as they become weaker, they also become easier to catch, making them a relatively easy meal for any opportunistic dolphins swimming by. At the end of the day, octopus are just part of the broad diet eaten by wild bottlenose dolphins. Dolphins have also been found to use several other highly specialised feeding behaviours, including processing cuttlefish by popping out the cuttlebone, stranding themselves while hunting fish, and using a marine sponge as a tool to probe the seafloor while searching for buried fish hiding in the sediment. Octopus shaking and tossing is yet another example that illustrates how intelligent and adaptable these charismatic marine predators are.